Our Central Florida homes are constantly exposed to the changes of Mother Nature. In our climate, that typically means the blazing sun, sudden thunderstorms and even hurricanes. The best way to defend your property against these harsh weather conditions is through your home’s insulation. Whether a home is older or newer, the traditional form of insulation that most people have is a poor defense against the elements. They cause your air conditioning unit to run longer and work harder since they allow some energy to escape. This wastes energy, which is bad for the environment and it costs you money by causing higher utility bills for your family. In addition to the insufficiency of traditional insulation, air moves in and out through any crack or crevice in your home. Approximately 33% of air escapes through ceilings, walls and floors. Spray foam insulation is a great way to minimize the air and moisture infiltration. 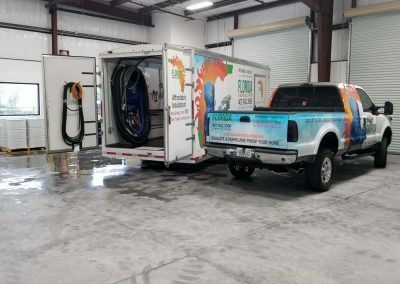 Spray foam insulation (SFI) will create an air tight barrier around your home that keeps the unwanted external air and moisture out and the comfortable air in. This expanding material is able to fill in every little nook and cranny. Superior coverage means superior savings since less cool air will escape during the hot summer months when your air conditioner is running nonstop. This will create lower energy costs of up to 45%, saving your family money. Think about what you could do with the extra money that you save each month! In addition to saving money, SFI is a green and eco-friendly option. It significantly lessens your negative impact on the environment. 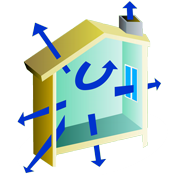 Having a properly sealed home reduces the amount of oil that is needed to produce your power and lessens the carbon released into the environment. This will help reduce the amount of greenhouse gases which are what contribute to global warming and ozone depletion. Every little bit counts and can help to preserve our planet and its resources for future generations. 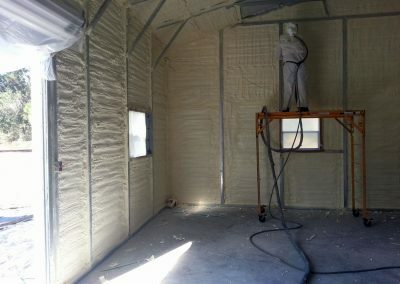 Is It Healthier Than Traditional Insulation? Unlike traditional fiberglass insulation, SFI is safe and free of toxic chemicals and gases. Traditional products are loose and can get into your air conditioning system and circulate through your home, which would be harmful to your family’s health. 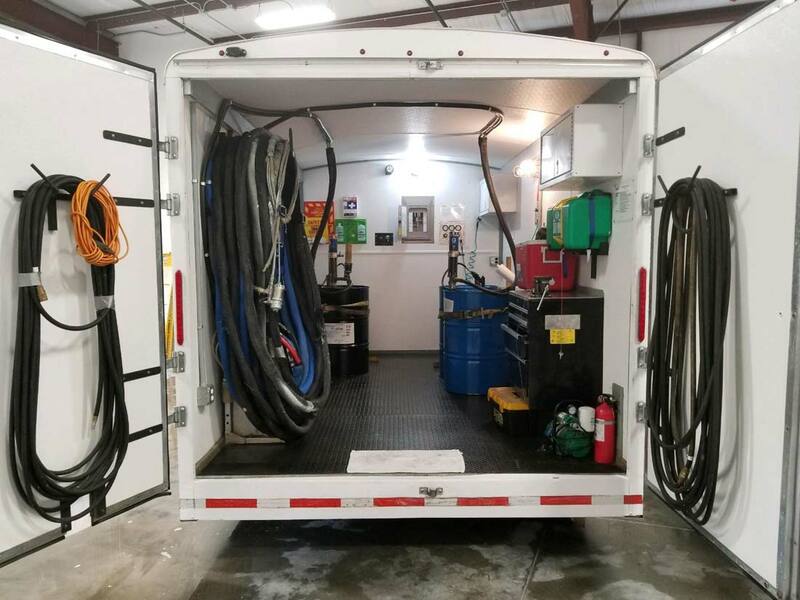 Once SFI has been applied, dries and cures, there is no smell or off-gassing to worry about. 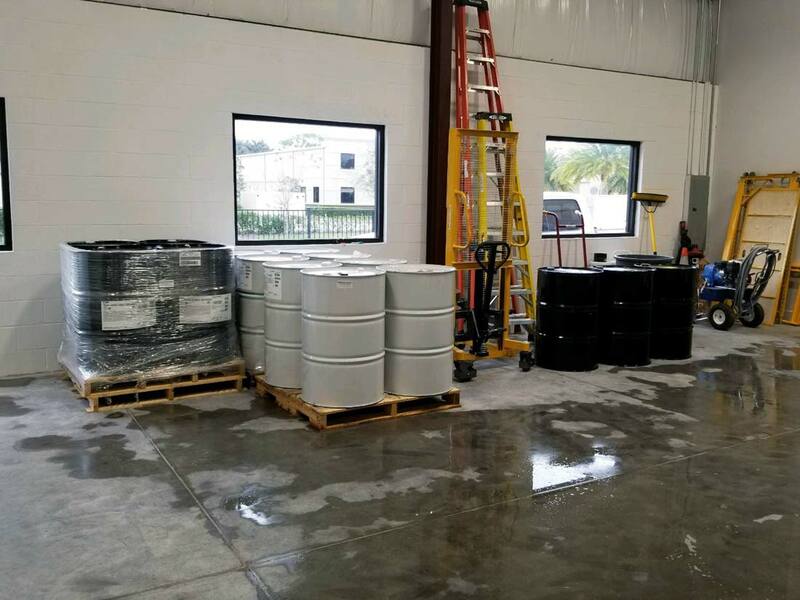 You will be left with a completely non-toxic and safe product. Spray foam also seals off your home and your family from potential mold, pollutants and allergens. If your utility bills are rising, contact us today for a free in home consultation! Florida Energy Solutions can put you on the path to significant savings and better comfort! 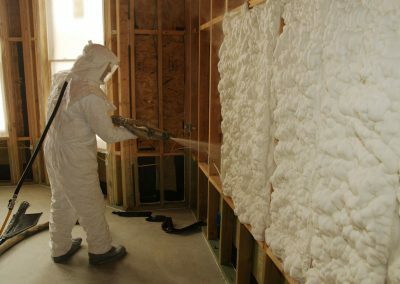 The video below provides an example on how the spray foam insulation process works in a new construction project. SFI can however, be added to existing structures as well. Indefinitely. Typically, spray foam insulation lasts for the lifetime of your home or structure. If done properly by a a professional and experienced installer, you will not need to replace it. 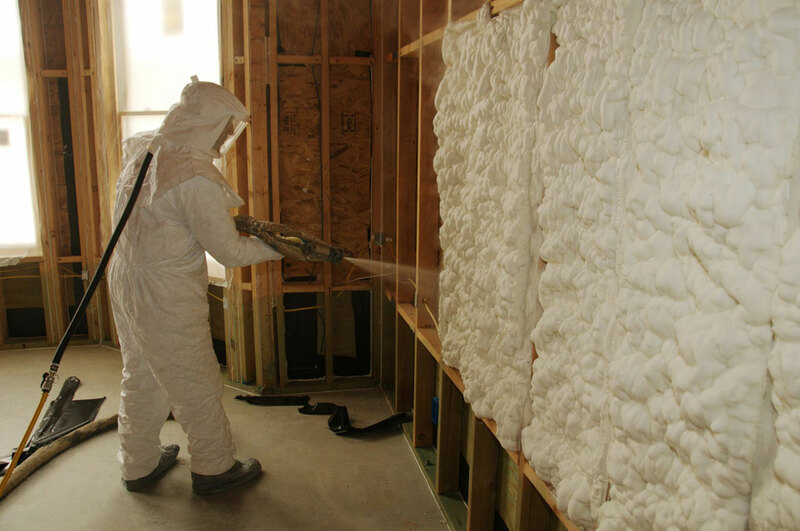 Closed Cell Foam Insulation is a very dense product with a more compact cell structure. 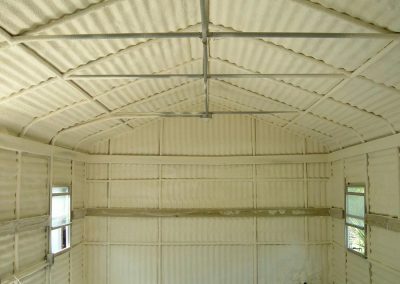 Although it can be used anywhere, closed cell foam is commonly used on the underside of a roof or other outdoor areas because it is a great defense against water and air. 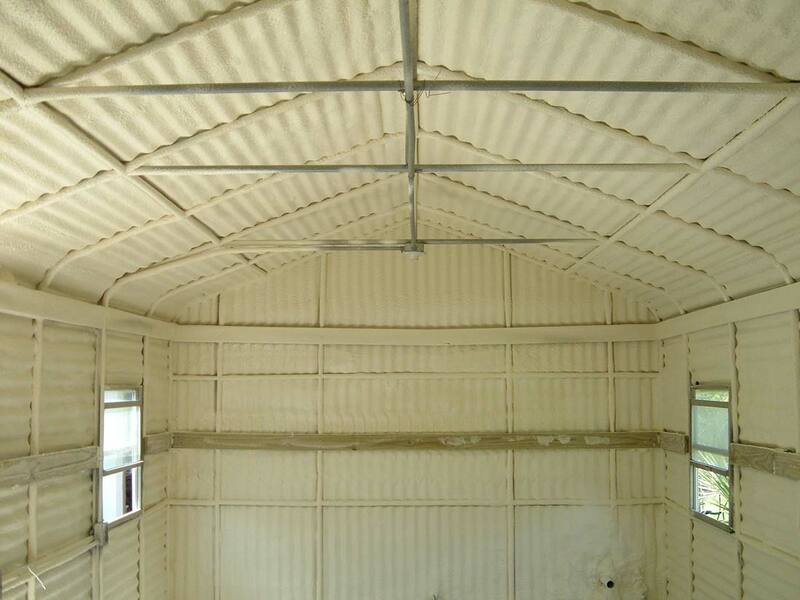 Open Cell Foam Insulation is a more cost effective option because it is made up of less components. It’s sponge-like appearance is because the tiny cells are not completely closed. Even though it is a great defender against air infiltration, this less dense foam does not provide protection against moisture. This is a great option for interior walls. Is it a new construction with open air or a pre-existing project with closed walls? Are you insulating the underside of a roof or an entire house including all walls? If your space is in a closed space or attic, more labor would be involved. While not an in-depth pricing guide, it’s obvious that spray foam insulation is not a one-price-fits-all service and depends on various factors. As with any investment, the cost up-front is greater than some of the cheaper solutions but you will start seeing a return on investment immediately which will continue from that point forward. 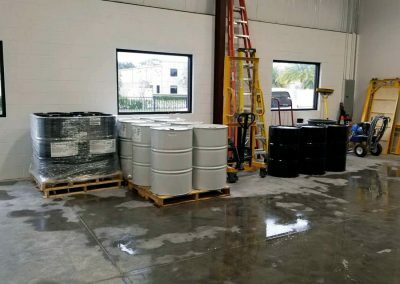 If you still have unanswered questions about the process or the product, please check out our Frequently Asked Questions page to see if your answer is there. We provide more in-depth information about SFI and its benefits. If you feel that the time has come to improve your home’s insulation, you need to call Florida Energy Solutions. With a commitment to superior products and customer service, you just won’t find a better partner for your home improvement project. An insulation update can make all the difference in your home, so get started today! You Have Nothing To Lose Except Your Hard-Earned Money!